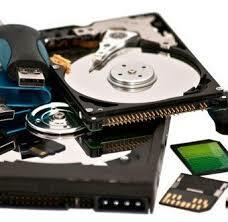 Emergency Data Recovery - Get your data back in 1-2 days with express! In time critical situations choose emergency service so you get your data back fast. Our engineers work 24/7 to recover your critical files. Emergency service includes overnight shipping both ways PLUS we can FTP data to you to save time. In serious data loss emergencies, our emergency data recovery engineers work non-stop, 24/7 to get your critical files recovered and back in your hands as quickly as possible. We offer online data recovery as well as onsite data recovery for Cincinnati companies when time is of the essence, or if you have security & chain of custody constraints when shipping hardware with sensitive or confidential data. Documents, pictures, email, QuickBooks data files, databases, and more… Examples of recent types of files recovered include dental data, water treatment data, oceanography research, hotel security system control files, QuickBooks company files, architectural and design files, advanced university training courses, shipping data and documents, POS systems, hospital patient files, scanned historical document images, software developer code, commercial movie footage, Photoshop and Indesign files,and much more. In time critical situations choose emergency data recovery service so you get your data back fast. Our engineers work 24/7 to recover your critical files. Emergency service includes overnight shipping both ways PLUS we can FTP data to you to save time.